While humans have longed for a tangible connection to those who have passed on for much longer than recorded history, the practice of channeling those from beyond the grave gained popularity in the Western world in the 19th century. In its most basic sense, channeling is the practice of establishing a connection to another realm and communicating with personalities who reside there. There are many different forms of channeling that range from quite simple practices to deep and complex relationships between a channeler and a spirit guide that can last for decades. Often the entity will take total control of the channeler and speak through them, with the channeler having no memory of the event once they return to consciousness. In some cases, there may even be physical manifestations of paranormal activity in connection with the channeling event. While both mediumship and channeling are defined by the same basic activity of communicating with entities beyond the physical world, there are subtle differences between them. Mediums generally are called upon to communicate with a specific person, usually deceased, at the behest of loved ones who long to establish a line of communication. This is usually a brief encounter for the medium with the spiritual entity, one that may never be established again. Channelers, on the other hand, may be considered mediums who specialize in communicating repeatedly with the same entity or entities, establishing a relationship with them and deriving esoteric wisdom regarding the spiritual realm. 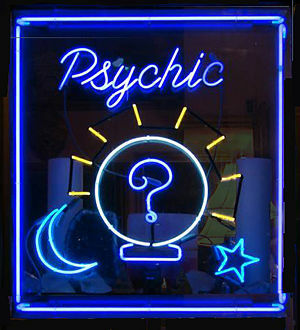 While mediums and channelers use psychic abilities to establish a connection to an alternate realm, not all psychics are mediums or specialize in channeling. They may both use a range of psychic abilities, but the greatest difference between channelers and psychics is that channelers are influenced, directed or manipulated by an entity outside of themselves and over which they have no control. Channeling can take many forms, from something as simple as directing the to the channeler falling into an almost comatose state in order to communicate beyond the physical realm. Deep Trance Channeling – In this form of channeling, the channeler enters into a deep meditative state in an effort to block out the physical world and establish a connection to an entity by tuning themselves to the same vibration or “frequency” of the astral world. They use their physical body as an antenna to communicate with what lies beyond the five senses, setting aside their own consciousness in order for an entity to speak through them. This was the method practiced by perhaps the most famous channeler in recent history, Edgar Cayce. Physical Channeling – The manifestation of physical phenomena, such as spirit lights, disturbances, moving objects, ectoplasm, voices or cold spots may all be considered the effects of physical channeling and would stand in contrast to the more common discipline of mental channeling. Psychic Healers – Psychic healers draw upon formless energies and channel them into the act of restoring a subject to physical or mental health. They might call upon a specific spiritual guide in order to accomplish this or simply invoke a formless energy and direct it to heal. Automatic Writing, Ouija Boards and Prophesying – These are lesser forms of channeling, with the subject usually conscious and receiving communication through a device from an entity, as in the case of Ouija boards and automatic writing, or receiving inspiration in their minds as they are in the act of writing or speaking, as in the case of prophecy. While recent psychic channeling in Western culture is quite well documented, it is laid upon a foundation that dates back millennia and spans the globe. In ancient Israel, an instance from the Old Testament is well-documented, as King Saul consulted a woman channeler known as the Witch of Endor, who was commanded by him to invoke the spirit of the prophet Samuel. In ancient Greece, prophetesses known as Oracles were regularly consulted for guidance from the spiritual realm on matters of great import. Tibetan Buddhist cultural traditions also tell of ancient oracles, practitioners who were possessed by the spirit of a deity for the purpose of telling the future or imparting wisdom. The current Dalai Lama continues that tradition to this day, consulting with the Nechung Oracle many times each year. Many animistic or shamanistic religions, such as those found in the Amazon region, involve the possession of the shaman by animals or ancient spirits. These spirits might then direct the tribe on the best areas in which to find game for hunting or predict danger. While there are skeptics of all psychic claims, and indeed, many blatant hoaxes have been perpetrated throughout history, there still remain those who aim to prove through rigorous scientific testing that psychic phenomena do occur. The study of Noetics is one such discipline, functioning as a philosophical study of human consciousness and how it affects the physical world through manifestations of psychic phenomena. Neurological studies conducted recently on subjects who claim to be mediums or channelers show that brain activity while they underwent a meditative trance changed significantly. In the average human brain, single photon emission computed tomography, or SPECT imaging, shows scattered electrical activity over all regions of the brain. Upon undergoing a psychic trance as they attempted to connect with the spiritual realm, the brains of channelers showed a decrease of activity, as if they were shutting off their own consciousness in preparation for another consciousness to speak through them. While this does not constitute proof that psychic activity is occurring, it does show that there is a physical and measurable change in the brains of those who are functioning in the capacity of spiritual channeling. When a channeler claims to undergo a shift in consciousness, these claims can be tested and verified. Psychic channeling is an ancient practice that strikes a sympathetic chord in cultures and peoples separated by both distance and time. While it is difficult to objectively prove that such phenomena occur, the fact that channeling answers a need that transcends religions and creeds is a testament to its enduring place in human spiritual growth.